In Paris, all-new Jardin d’Acclimatation leisure and amusement park for families re-opened in June 2018. And what fun it is – 40+ different attractions, delightful rides where kids and parents can ride in “flying boats,” speed rockets, WWI bi-planes, steam engine, enchanted river, double-decker carousel or “petit carousel” for little ones, climb around in “Forest Adventures” or “Bear Den,” cool off in water play areas, watch a puppet show, go on a pony and camel rides, feed the goats in the little farm. Take to the air in Flying Boats (Les Bateaux Volants), Swing Carousel (Les Chaises Volantes), Side-Cars (photo above), Aeropostale (Les Heroes de Aeropostale) with French WWI bi-planes. Glide through the water on the Enchanted River (La Riviere Enchantee), Boat Patrol (La Ronde des Barques), River of Goats (La Riviere des Chevres). Ride on galloping horses, green frogs, zippy mice. 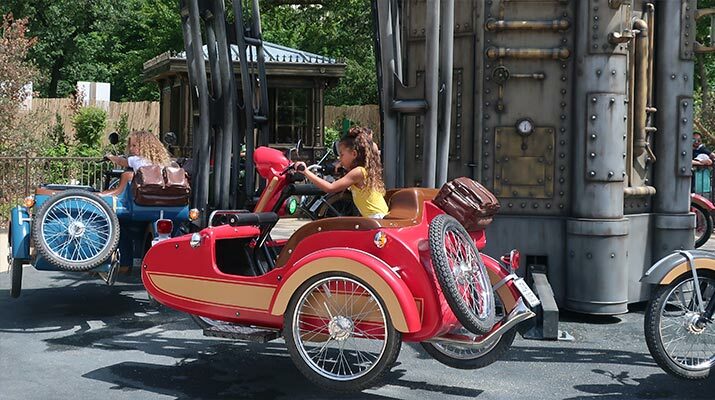 Roller coaster thrills on Steam Engine (La Machine a Vapeur) and Speed Rockets. 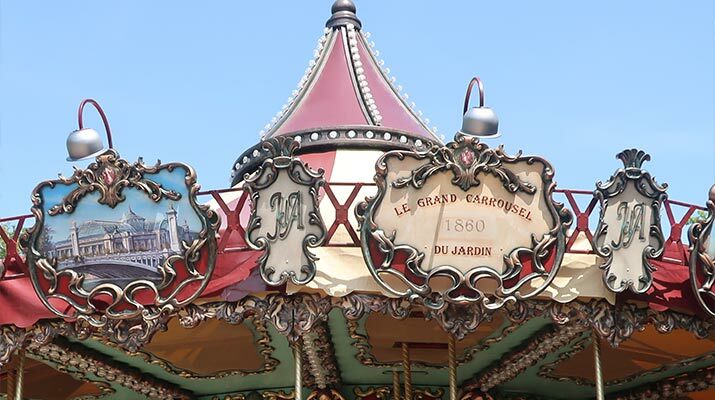 Close to the Jardin main entrance is Le Grand Carousel – choose to ride in a hot air balloon, old-fashioned fire truck, car or airplane, seahorse, elephant, rabbit, zebra, lion, giraffe, seashell, and more. 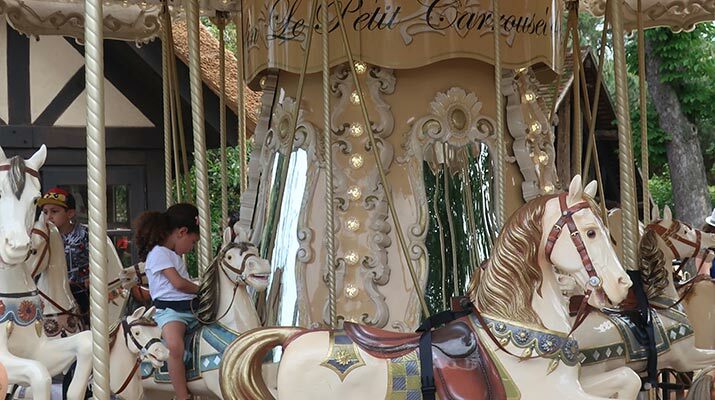 At the other end of the park is Le Petit Carousel in gold and white, with horses, just the right size for little kids. Kids will have fun in the free play areas, such as Bear’s Den (La Taniere de l’Ours) with carved wooden bears, rope bridges and wooden ladders, or Forestry Adventures (Les Aventures Forestieres). 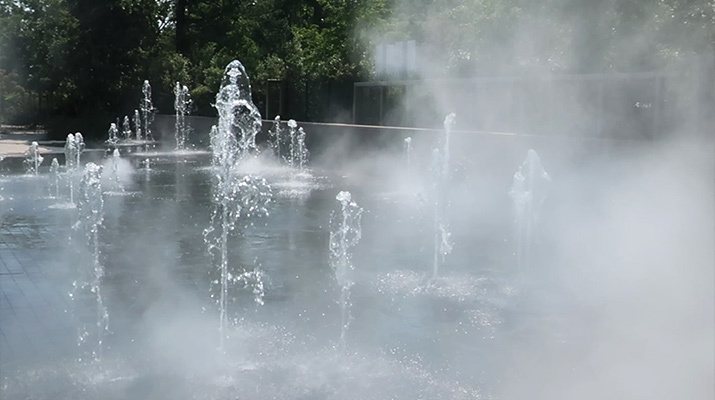 Bring swim suits, or extra clothes for kids will get wet in the water play areas Paddling Pool (La Pataugeoire) and Dry Fountain (Fontaine Seche). 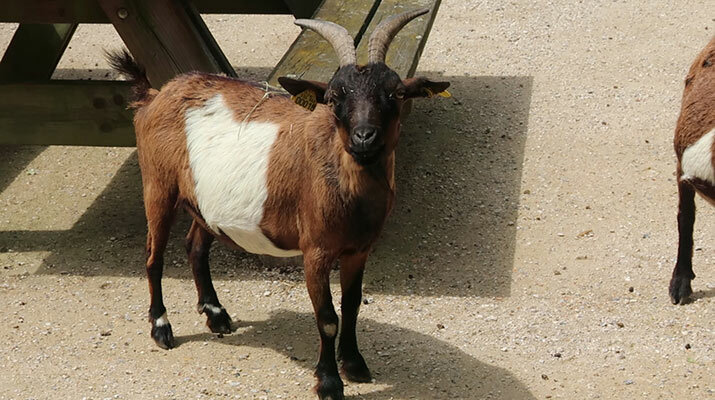 Visit the Small Farm (La Petite Ferme) with goats, sheep, donkey, rabbits, chickens, and kids can feed the goats. The Historic Aviary (Grand Voliere), a feature of the original 19th century Jardin, has birds from around the world, feed the lorikeets. On Alpine Rock, look for Alpine bighorn sheep and marmots (animals native to the French Alps). Pony, donkey, and camel rides are also available. 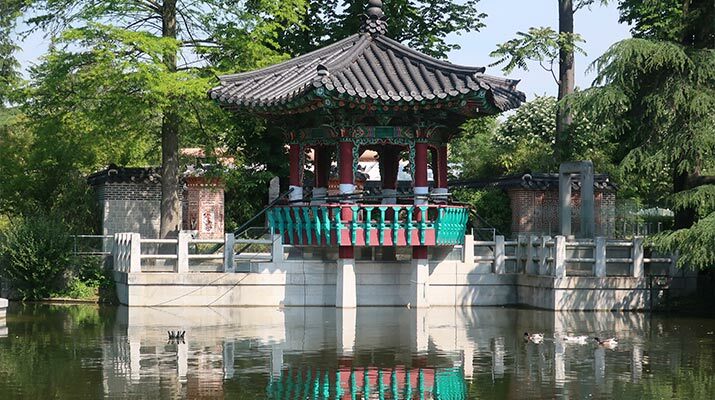 There’s been a Korean Garden in the Jardin since the 19th century – enjoy the beautifully painted pavilions, swans and ducks floating in the lake, take a ride in one of the electric Lake Boats (Les Canots du Lac). Restaurants and food kiosks in the Jardin have crepes (sweet or savory), gaufres (waffles), beignet (fritters), muffins, ice cream, galettes, pasta, salads, sandwiches. Or, like French families, bring a picnic to the Jardin, and spread out blankets and cooler tote bags with lunch on the grass. Across from the Dry Fountain water play area is a large picnic area with tables, grass and beach chairs across, and other grassy areas are also good for picnics too. Jardin d’Acclimatation is located in the Bois de Boulogne. 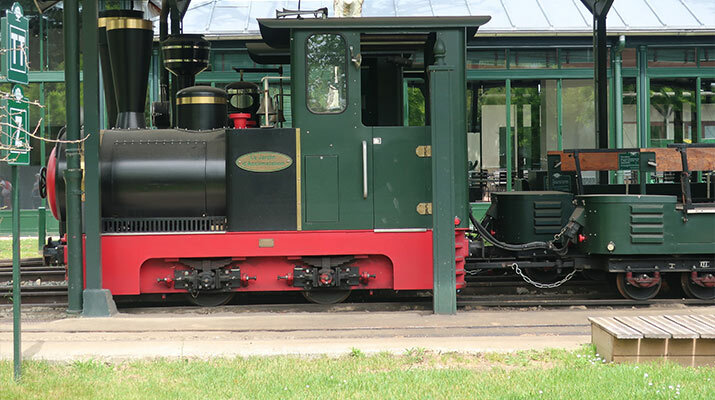 From Porte Maillot Metro stop, ride the Petit Train to the Jardin and get off inside the park (train is a tradition since 1878). 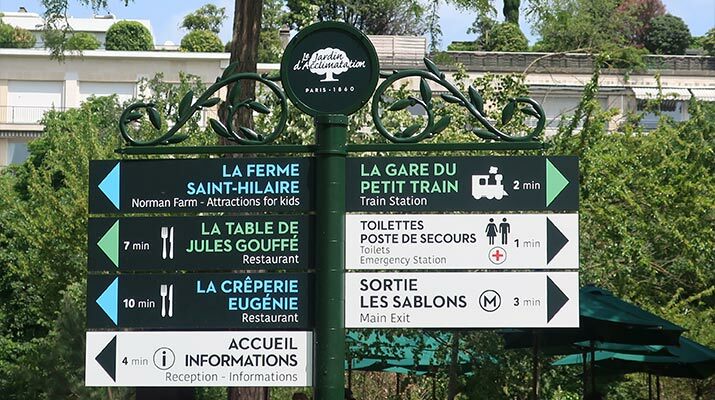 Or, take the Metro to Les Sablons stop (Line 1), and it’s a short walk to on Boulevard des Sablons to the entrance to the park. There are also entrances to the Jardin on Avenue de Mahatma Gandhi (next to Louis Vuitton Fondation), and on the eastern edge, next to Saint James lake.